Our first winter in Maine came on us suddenly and without adequate groundwork. We had purchased our somewhat renovated post and beam barn on five mostly wooded acres in Mount Vernon. Sagely we thought, our family planned to move from Cape Cod in the spring, so we rented the house out to a couple of single young men we met briefly. In January, they stopped paying rent and moved out without notice. Didn’t return phone calls either. Since we couldn’t afford the new Maine house and our rental house on Mashnee Island, in late February we moved. The property boasted pristine spring water which gravity fed the house over a drop of about fifty feet of elevation through a five-hundred-foot underground pipe from our spring enclosure in the woods. Even flatlanders like us took only our first day to discover that an unused pipe barely clearing ledge eighteen inches below the soil in late January freezes solid. We were lucky; it didn’t split open. But neither did it deliver water until May. Digging out the septic tank with shovel and pick to expose the cover, we bought an indoor Sears chemical toilet that I emptied daily. A forty gallon galvanized wash tub, a wood stove to heat up the kettles and multiple trips to the spring with a couple of two gallon buckets took care of the bathing. Drinking, cooking and incidental washing cost a few more trips a day. After a few spills of water on the hill, it became a slippery and occasionally painful adventure to fetch water. I had no idea how much wood we needed, so we quickly ran out, and Maine is not an easy place for strangers to find firewood for our principal source of heat in February. Every week, I would take our Ford F-150 to a birch toothpick and dowel sawmill factory and fill it with burlap bags of dowel ends and bark trimmings. When a twenty-four-hour stomach bug ripped through the family, the Sears chemical toilet proved to be a sad, inadequate resource. But, Rita didn’t leave me, and we muddled through the rest of the first winter. At least the twenty below nights were behind us with the ascent of the February sun. We were in our first house, sleeping in an overhead loft on a mattress jammed up tight against the roof at the edges, and while the Maine winter soon made mock of any romantic notions, the loft was warm, and we made it until the blackflies and mud season signaled spring. “By suffering comes understanding.” (toi pathei mathos), Ancient Greek saying. The townspeople, who were welcoming, but reserved, tried to help us prepare for our second (and first full) winter as best they could; locals retain a wait and see attitude towards newcomers until they prove they can stay the course. Snow started in earnest before Thanksgiving, but happily relented around Easter. Sort of. I observed, asked questions, built a small pole barn wood shed with spruce cut out back and filled it with five cords of dry hardwood I split by hand. Working together, Rita and I wrapped the entire perimeter of the house to about a foot above the stone foundation with black plastic secured with wood lathe and roofing nails, then laid bales of hay against it to keep out the floor drafts. I made a matched spruce board storm door, weather-stripped to seal out more leaks. Large double-hung salvaged windows looked north, providing a house selling view of the adjacent field and mountains beyond, but they squandered heat and rattled in the wind. Tacked up clear plastic inside storm windows helped. Rita’s dad came for a visit and helpfully suggested we give the house back to the bank. So we awaited the onslaught, seemingly much better prepared than our first winter. Nothing could prepare us, however, for weeks that never went above zero and snow that drifted up against the house covering the lower half of the windows on the north and east end. On the south side of the house, we were in perpetual shade, which cooled us in the summer, but the snow shed from the roof built up against the back of the house, covering all but the top eight inches of the windows in the kid’s bedroom. In front the snow packed down under snowshoes and boots, and when our children looked out to see Dad hauling wood from the woodshed, only my legs trudging past the windows were visible. The entire interior of the house was painted a solid white semi-gloss, no doubt purchased on sale in five gallon buckets from the Sherman Williams store in Augusta. On days with a higher sun and no wind Rita would sometimes bundle up the kids and take them on a lunch picnic in the back of the truck. I worked late too many nights trying to establish my company’s business in new territory. After one particularly isolating week in Mount Vernon of white out and cold, I came home after an overnight in Aroostook County to find the living room and dining room (both had sleeping lofts) transformed. 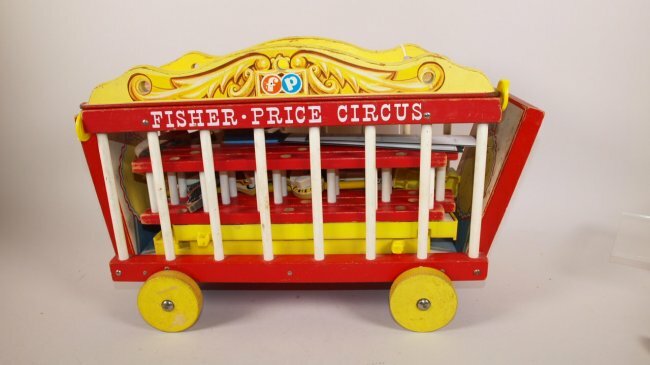 The décor was early circus wagon. Gold yellow walls and red painted posts up to the bottom horizontal beam and the cathedral ceilings. Preparation ill-advised or perceptive cannot cover all contingencies; sometimes you’ve just got to go with your gut.